On the Friday me and my friend Hannah arrived at Portland House to start the festivities. When you first go in you get given a wristband, just like a music festival! This is the best idea ever as you can actually load up your wristband with money for the night, rather than paying in cash. This means you don’t have to faf about with change and there are barely any queues. 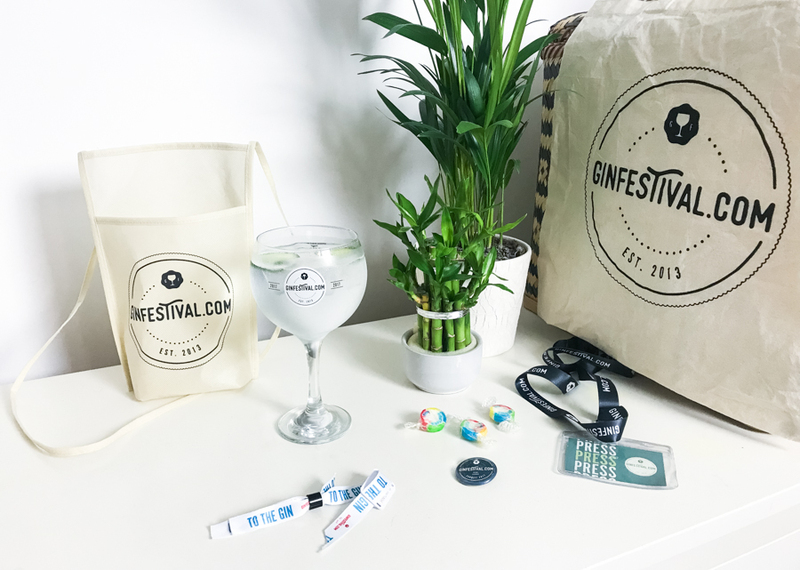 You also get given your gin cup in a cross body bag which you recycle for every drink you get. They wash your cup for you and refill it properly every time you get a new drink and you also get to take it home! It’s honestly worth going just to get the cup and bag. 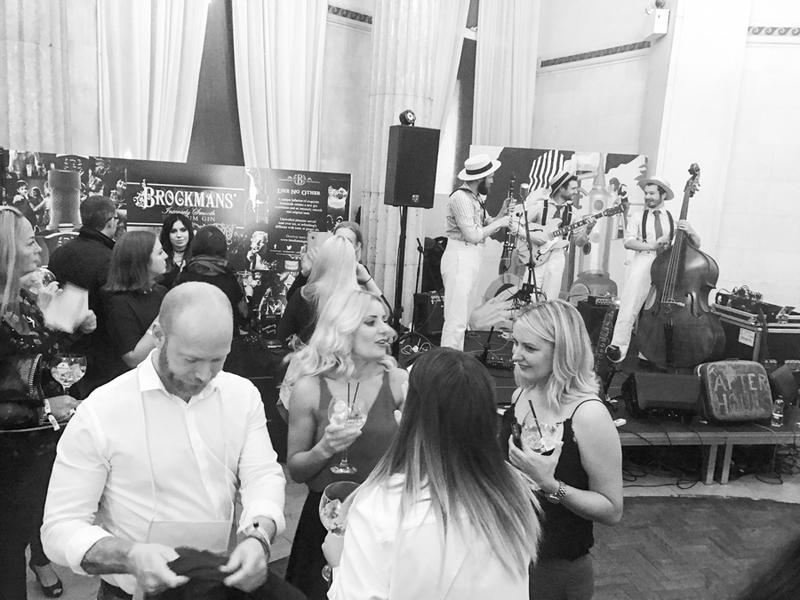 I can’t think of anything more phenomenal than going about your daily business with a glass of gin strapped across your chest. Can you? 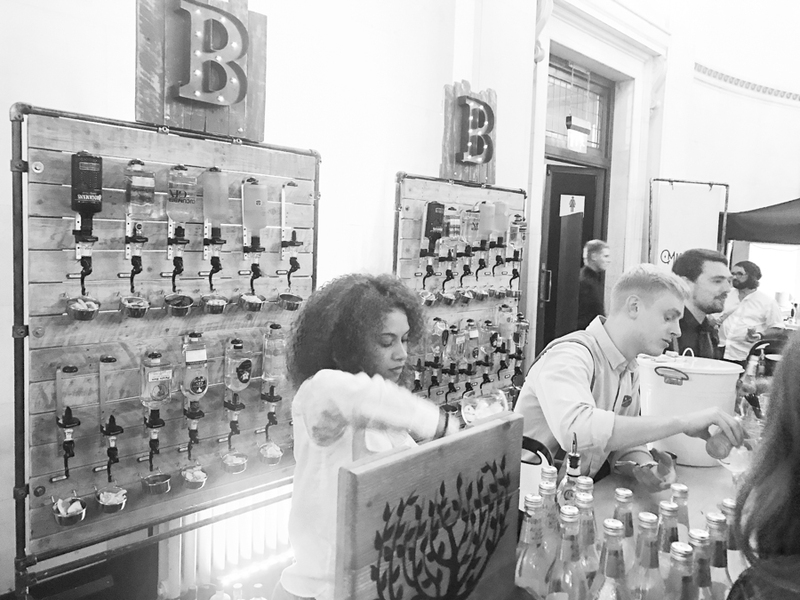 Once you have your cup and you’ve loaded up your wristband you can then hit the bars and start trying out some strange flavours. I initially went for a cucumber gin, playing it very safe but it was so refreshing and a good one to start with. 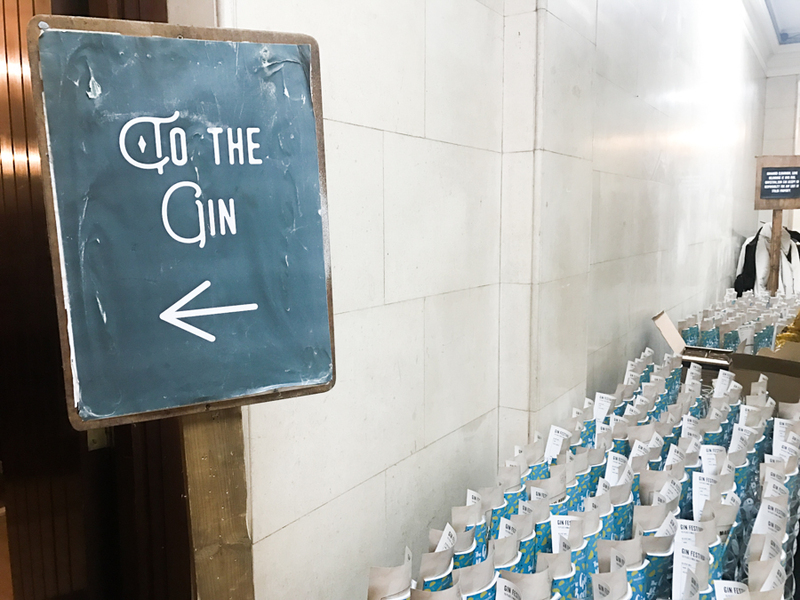 I then decided to try a gin that was filtered through seaweed (I’m sorry I didn’t take down all the names!) this gin however I wouldn’t recommend. It was a triumph in flavouring but it literally tasted like I was drinking sushi. Lastly I picked up a rhubarb and custard cocktail which was super sweet and delicious and a good drink to finish on. I know three drinks doesn’t seem like a lot but the glasses are big and it’s a lot of liquid to drink. The staff at the bar are amazing too and gave us so many great recommendations and were really friendly and helpful. Lastly, there’s a few things I wanted to mention which aren’t cons but something that I think you should be aware of before you go. 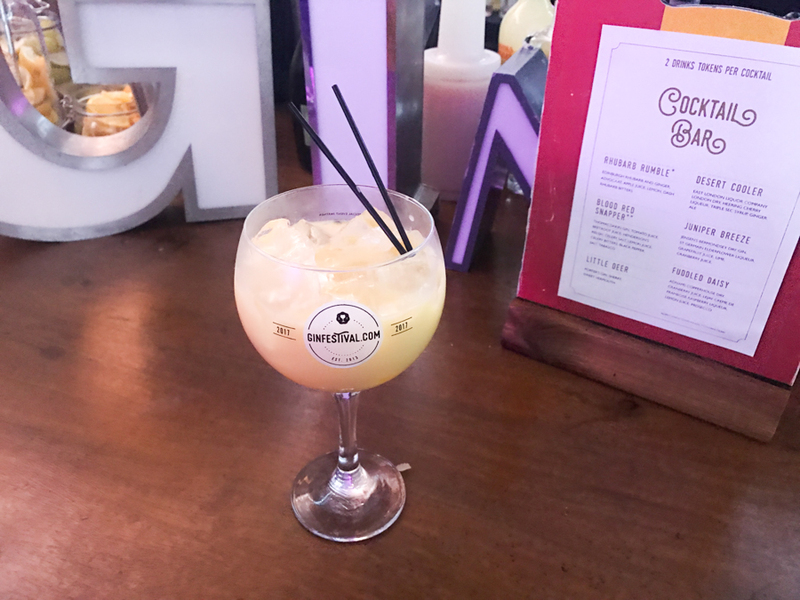 One thing we didn’t realise was that you could have different mixers, I think they’re sat somewhere else on the bar but someone mentioned this to us afterwards and I felt like we missed out on trying some different flavours. Also, there aren’t many tables and it’s all standing so make sure you don’t take all your work stuff with you (like me) because you’ll have to carry it around with you the entire night. Later on in the evening they had a band playing and more people were getting up to dance. It was such a fun night and if you have a birthday or a special occasion coming up it’s a cool place to go and celebrate, try something new and it’s not too loud that you can’t talk either. 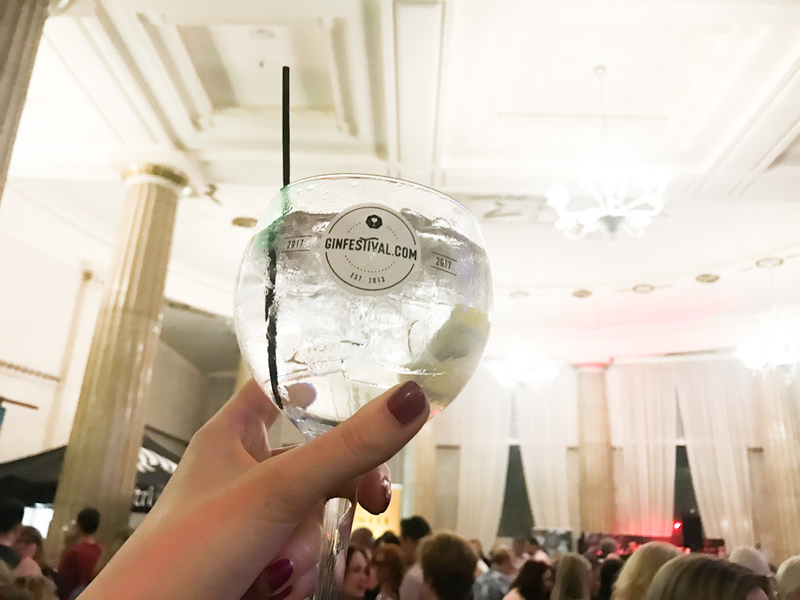 If you’d like to go to the next Cardiff Gin Festival or want to find one closer to you then click the link here to find out more.